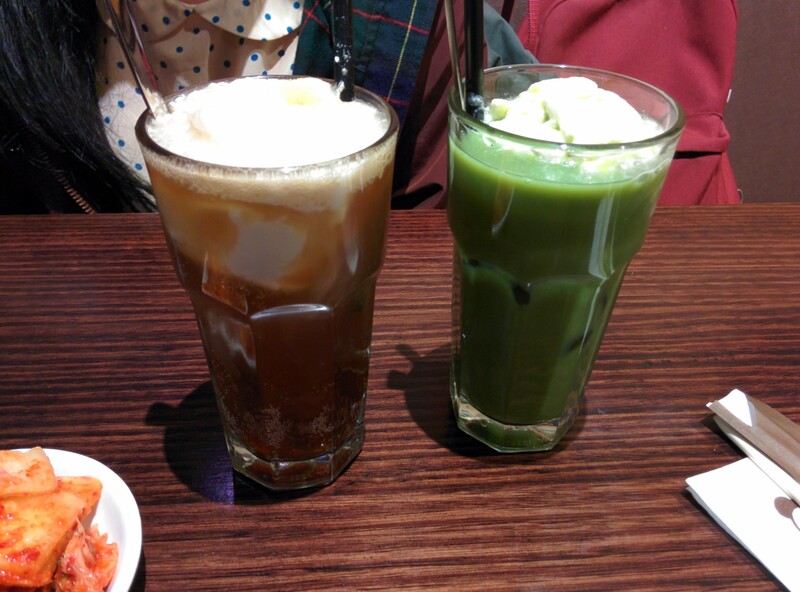 tuesdayswiththao | good food good mood! I have very exciting news I wanted to share with you! I was given the opportunity to partner up with Menulog and order takeaway at one of my local restaurants! 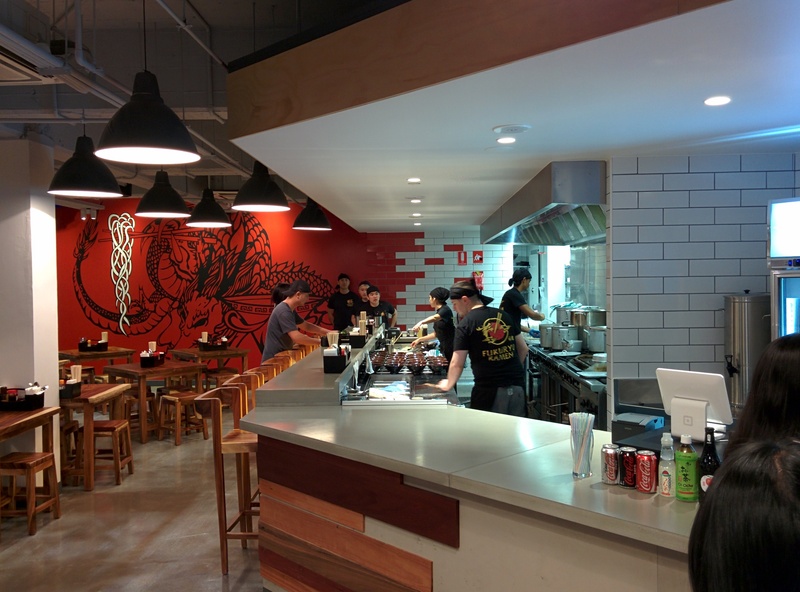 Now I was over the moon about this because I have tried their services before and I think it is a quick, efficient and easy avenue to ordering takeaway (especially for the lazies like myself). 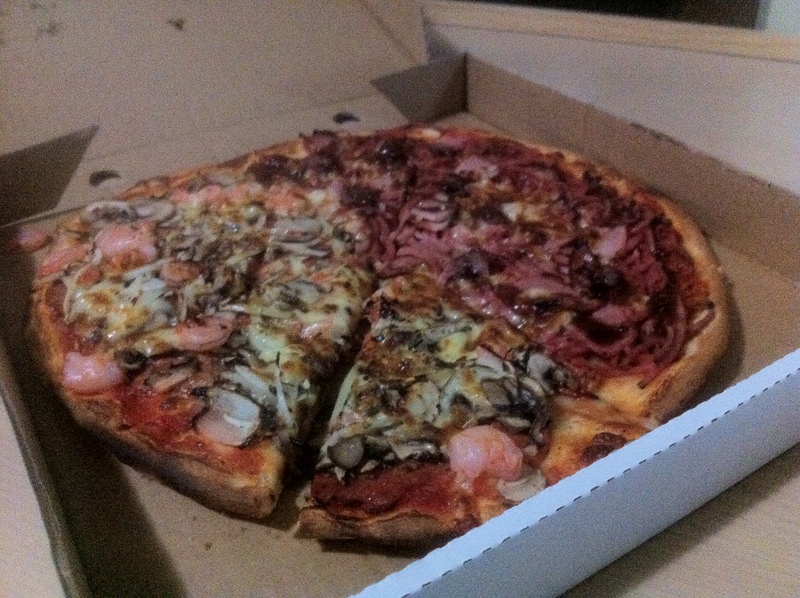 Menulog generously gave us a voucher to use, so we decided on Conrad Pizza. 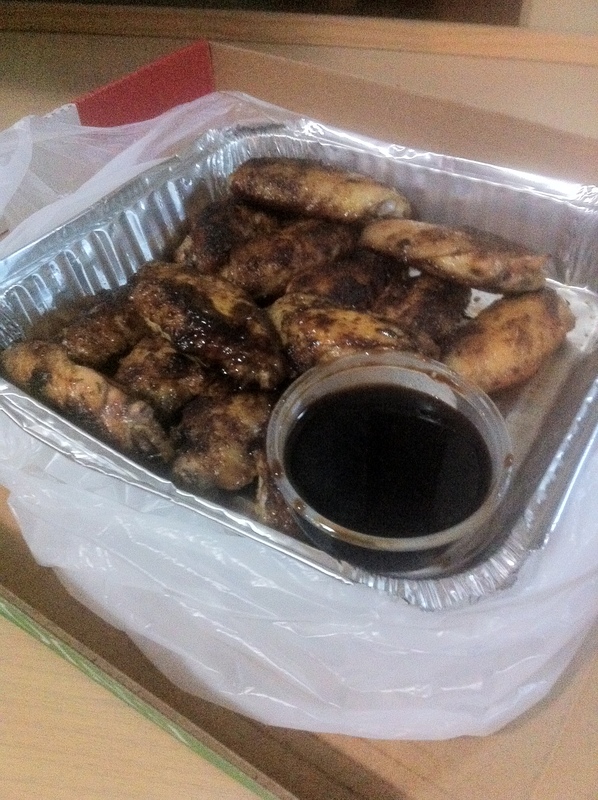 The food was delivered at the specified time (exactly 30 minutes, but it was so worth it), and the delivery guy was friendly and cheerful, which really added to the experience. The prices are a tad higher than other places but I think it is only justified because their food is delicious! 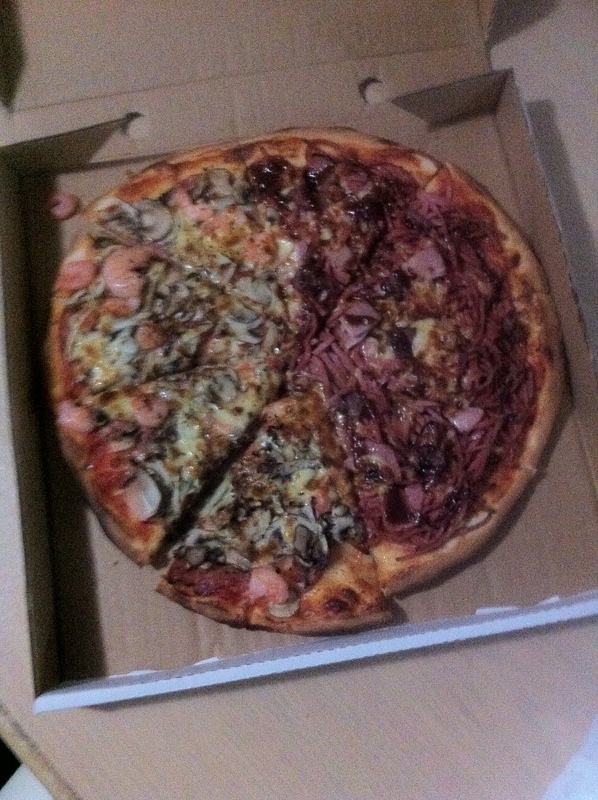 So Menulog is an Australian based service for food deliveries and ordering take out online. 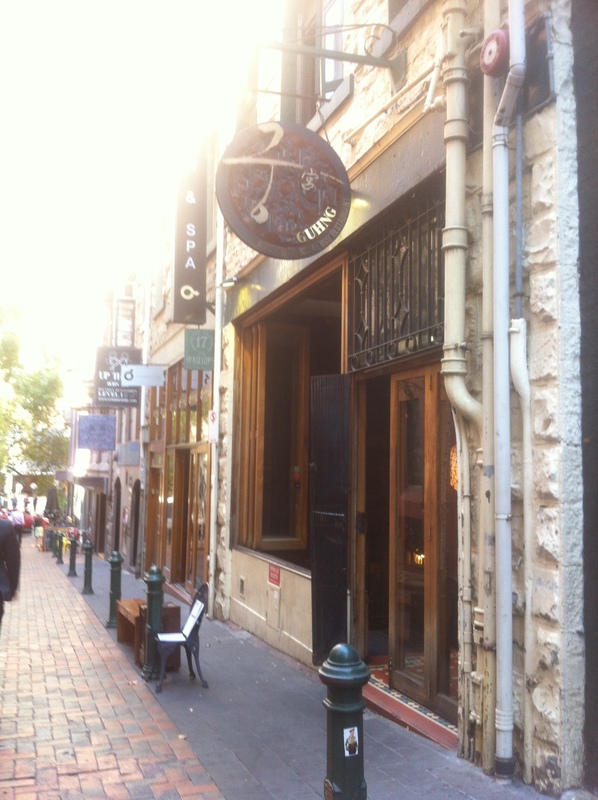 They give customers the luxury of ordering from 3500+ restaurants across Australia. Wow, you’ll be spoilt for choice! 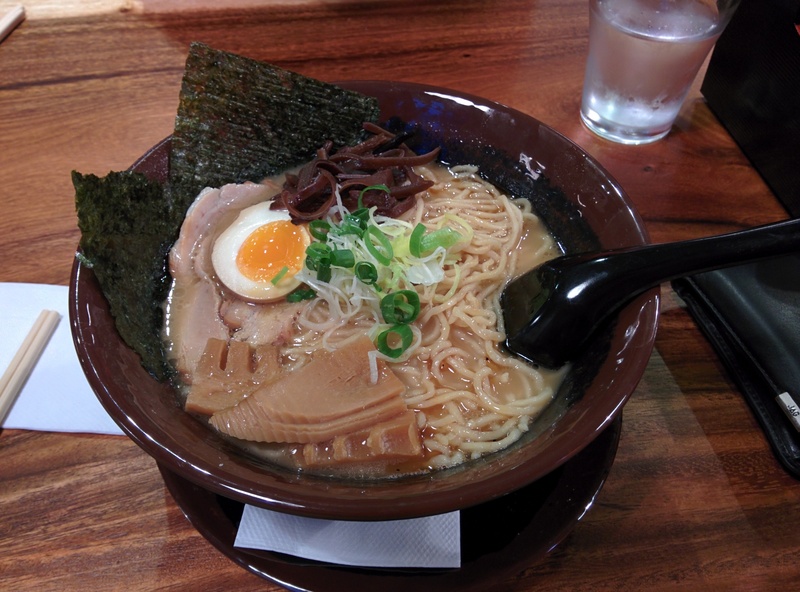 For a chain restaurant, Ajisen Ramen makes pretty good ramen; it was humble, comforting and their broth really warms your belly. 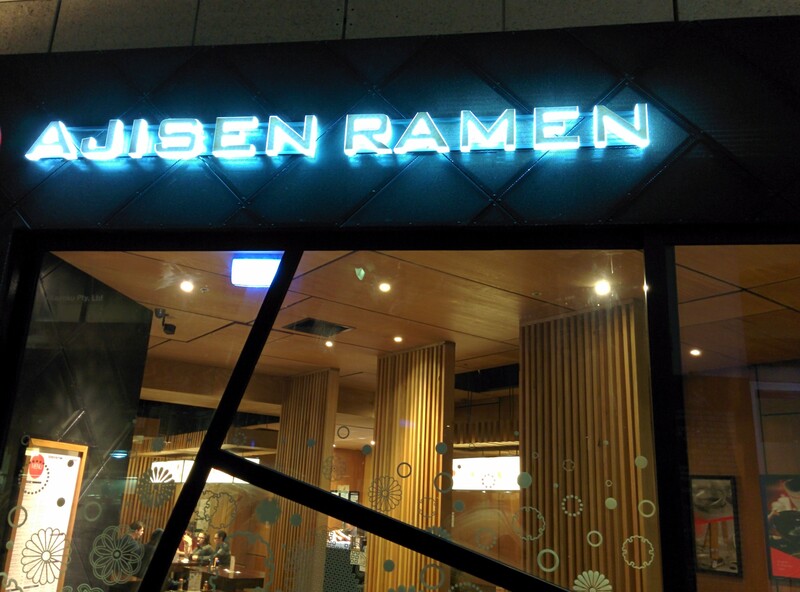 They have a wide selection of ramen to choose from, in addition to other Japanese foods and drinks. The location is secluded and hidden away from the hustle and bustle of Melbourne Central and it was really nice and peaceful when I visited. The waitress who served A.T and I was confident and very knowledgable with the menu. She knew her stuff back to front, which is always nice to see. 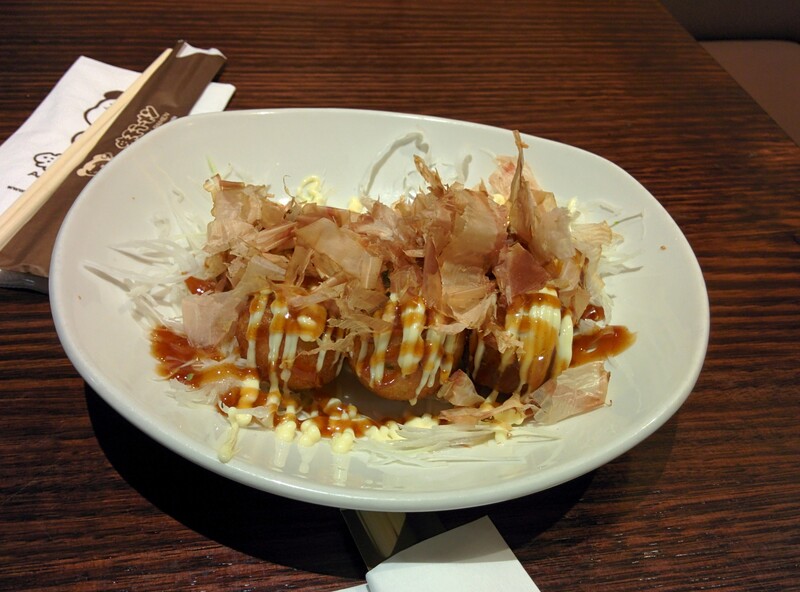 Their takoyaki was very tasty, especially for their pretty cheap prices which did enhance its tastiness! Ajisen Ramen did not hesitate with the sauce and bonito flakes which was fine by me. I think a good takoyaki needs a good amount of its accompaniments. 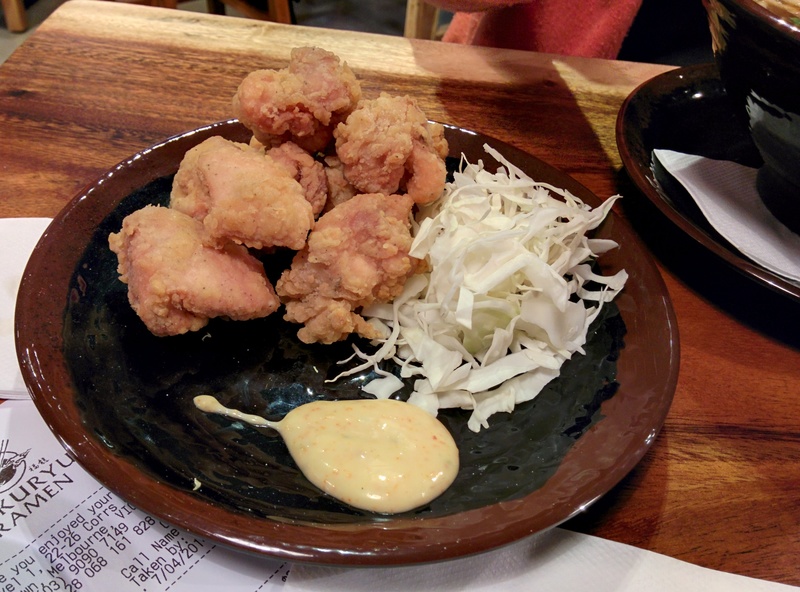 They also added radish, something I haven’t encountered until now but it’s brilliant because the radish adds an extra crunch and goes particularly well with the sauces. The balls weren’t that crispy though and only had a tiny 1cm piece of octopus in each ball, but I have yet to find takoyaki with more filling than that (maybe in Japan. One day Thao, one day). 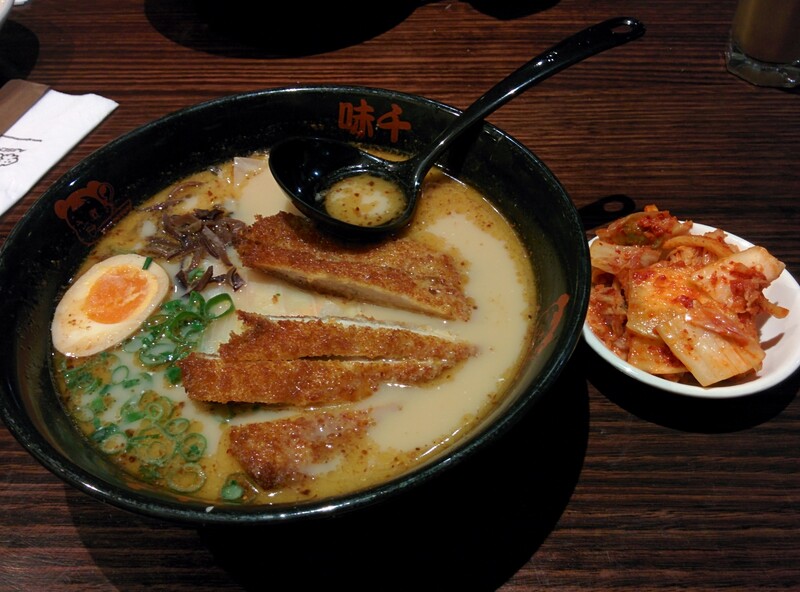 Tonkatsu ramen – ramen noodles served w/ deep fried pork, egg & vegetables, with added kimchi (+$2). 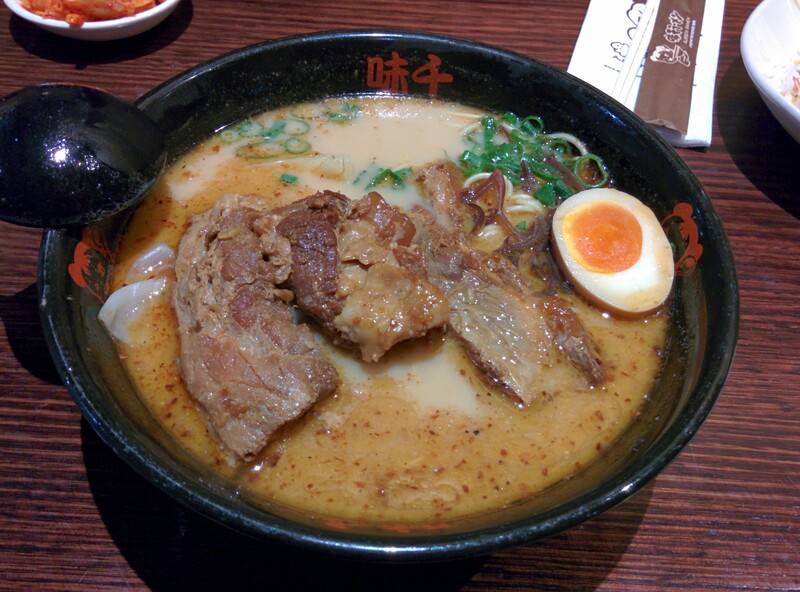 The broth was thick, rich and just absorbed in all the flavour of the pork bone, but it was a tad on the oily side. The noodles were cooked al dente exactly as they say and so slippery, it just slides as you slurp it all up! 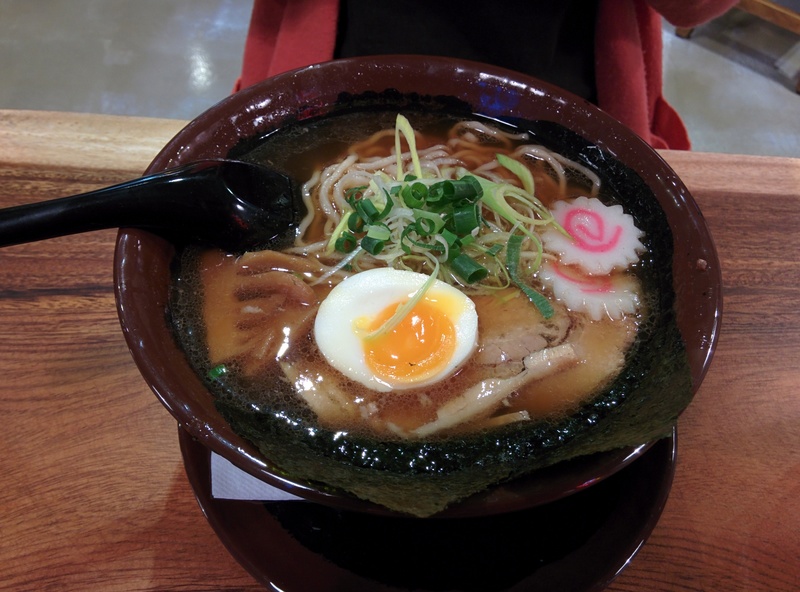 The tonkatsu was mediocre, as the crumb became soggy whilst it drowned into the broth which was inevitable. I liked how they cooked their eggs, ensuring that it wasn’t too overcooked so the yolk is still quite nicely golden orange. 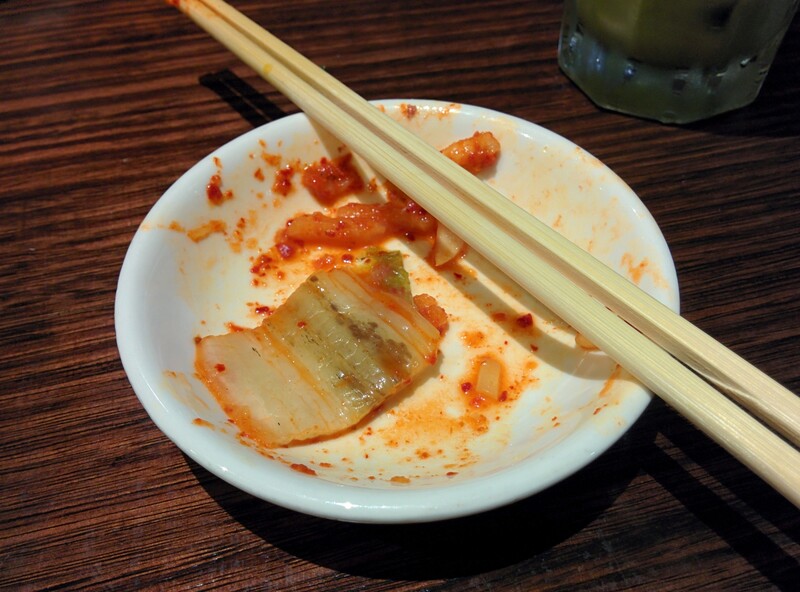 The kimchi on the other hand was lacking in impact and there were a few pieces that looked… off. 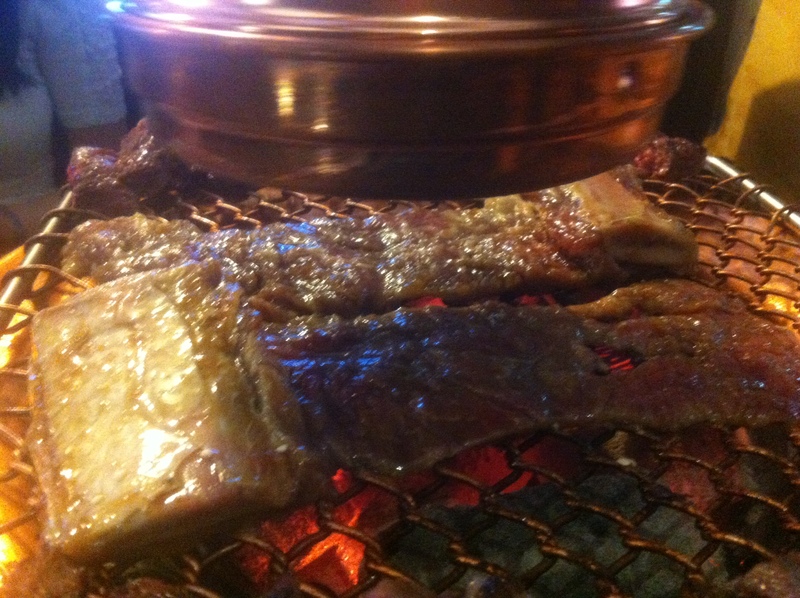 My high school friends (H, M & N) and I decided to go for Korean BBQ for M’s birthday since it’s her favourite cuisine. I don’t know about the others, but I thought Guhng was the right choice. 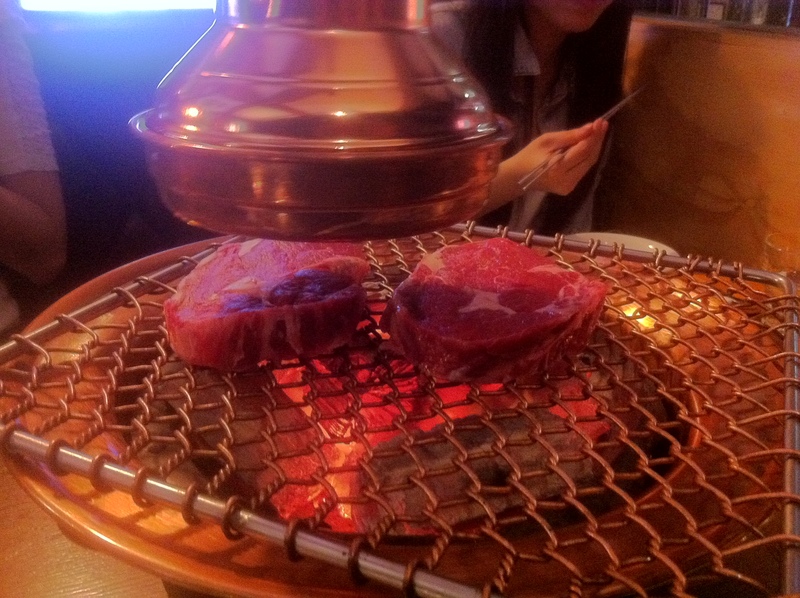 Unlike other Korean restaurants, Guhng grills top quality meat to medium rare, just the way I like it! Not only did the meat melt in my mouth, but my heart melted along with it. Not to mention the interior design was absolutely stunning with four (yes four!) restaurant levels, each with extravagant and refined decor. The waitresses were efficient and attentive at the start, but this slowly diminished as more patrons rolled in. Guhng’s pan-fried dumplings were different to ones I’ve tried in the past because of its soybean curd filling. 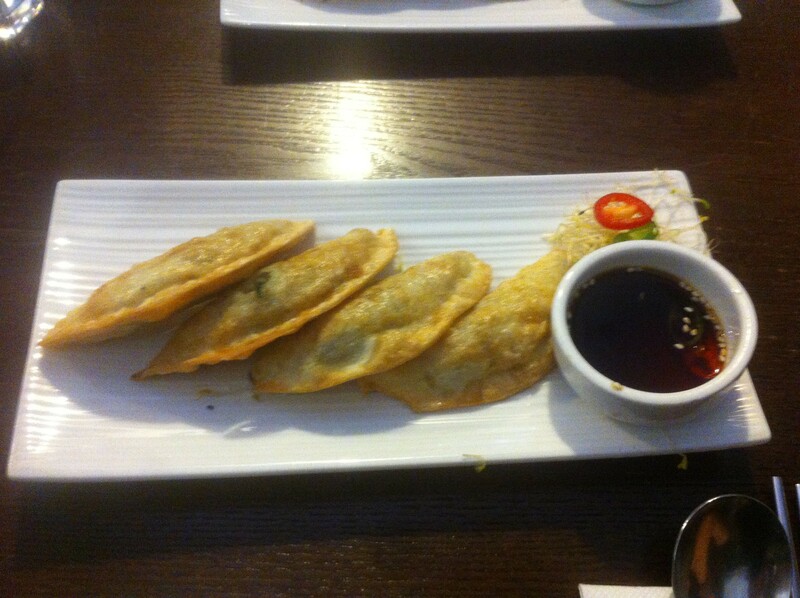 It was a bit bland but had an enjoyable mushy texture which contrasted the crispiness of the dumpling wrappers. The pork belly was nicely cooked. 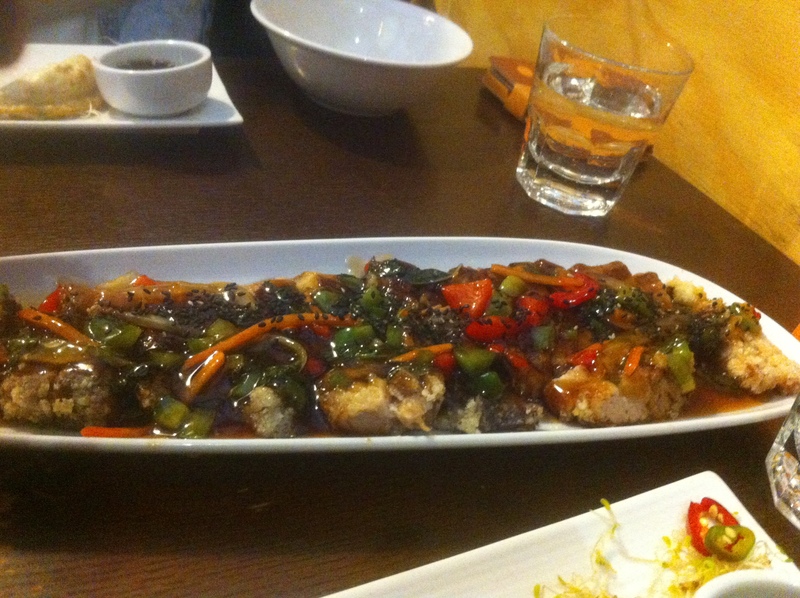 ‘Marinade’ was kind of like black bean sauce; a lovely blend of salty and sweet, tying the dish together nicely. 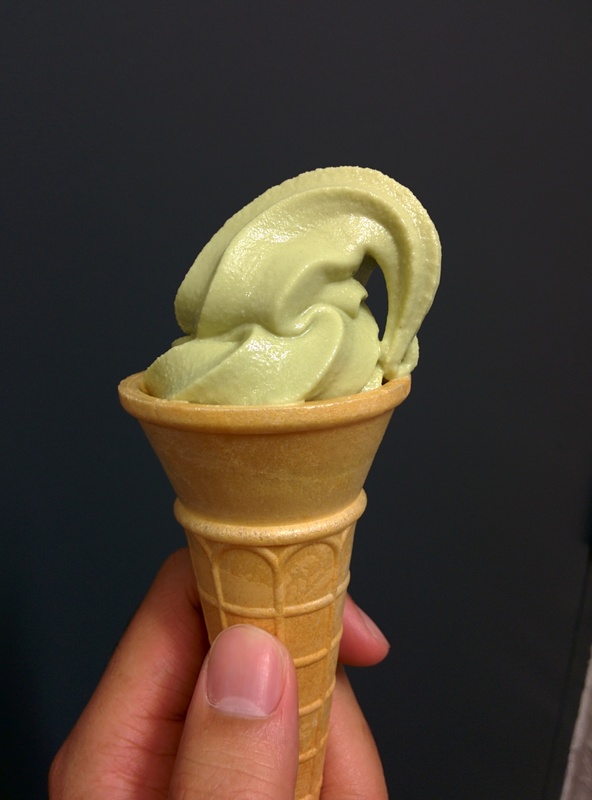 If I was to be picky here… and I am, then I must say I was kind of disappointed that the crispiness wasn’t there. The dish was too saucy, making the pork belly skin soggy (everybody loves a crispy skin). At every Korean restaurant I’ve been to, the waiter/waitress has given me a beautiful piece of meat, failed to give it the attention it needs due to their focus on serving other customers, resulting in tough overcooked meat and me leaving with an uneasy heart (I love my meat). But not this restaurant! The scotch fillet was well cooked to medium rare. The meat was juicy, tender and was just perfect on its own. Guhng truly appreciated the meat and let it shone. 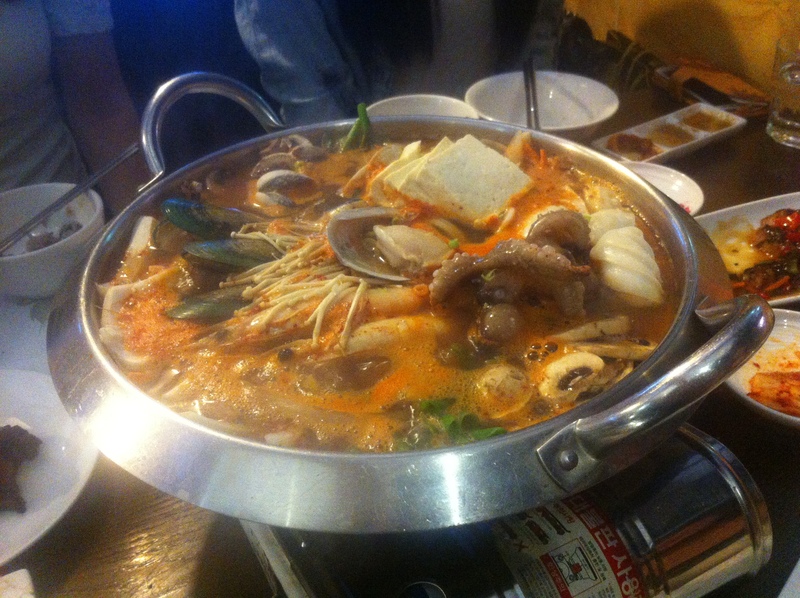 EXTRA SEAFOOD HOTPOT (+$29) – w/ fish, king prawns, baby octopus, squid, mussels, abalone, tofu, mushrooms & cabbage. The waitress came up to our table and literally cut. up. everything. The mussels, abalone, octopus, even the prawn were in tiny little pieces. I would’ve preferred them kept whole because it retains the freshness of the seafood. I don’t usually like water-based food, particularly hotpot but the broth was comforting, with a little hint of spiciness and a great depth of flavour. EXTRA STEAMED BLACK BEAN RICE (+$2 per bowl, sorry no photo!) – I’ve never tried black rice before, but I’m very glad we ordered it. Black bean rice has a crunchier and chewier texture than white rice, which all of us collectively enjoyed, although it can get a bit dry if you don’t have any liquids to accompany it. 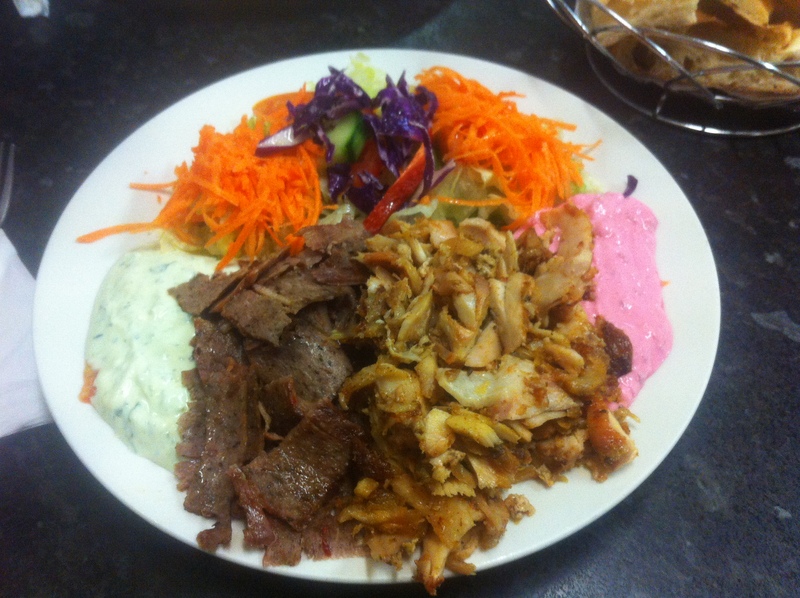 Akasya Kebab Plate ($10.80 + extra dip $1 = $11.80 ) – lamb and chicken kebab w/ turkish bread, salad & 1 dip. I chose the beetroot (beetroot, yogurt, dill & garlic) dip and added a 2nd ispanak/spinach dip. 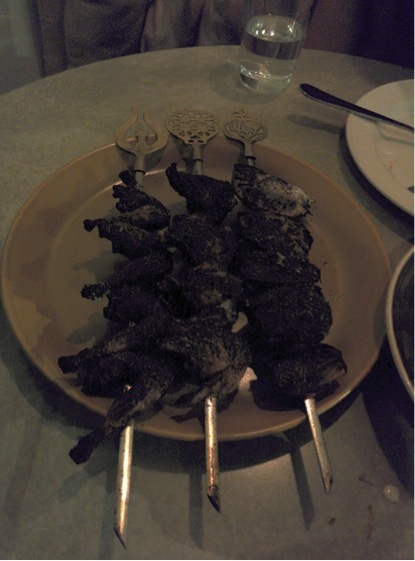 Both the lamb and chicken were shaved in long thin pieces, keeping the meat moist and juicy. 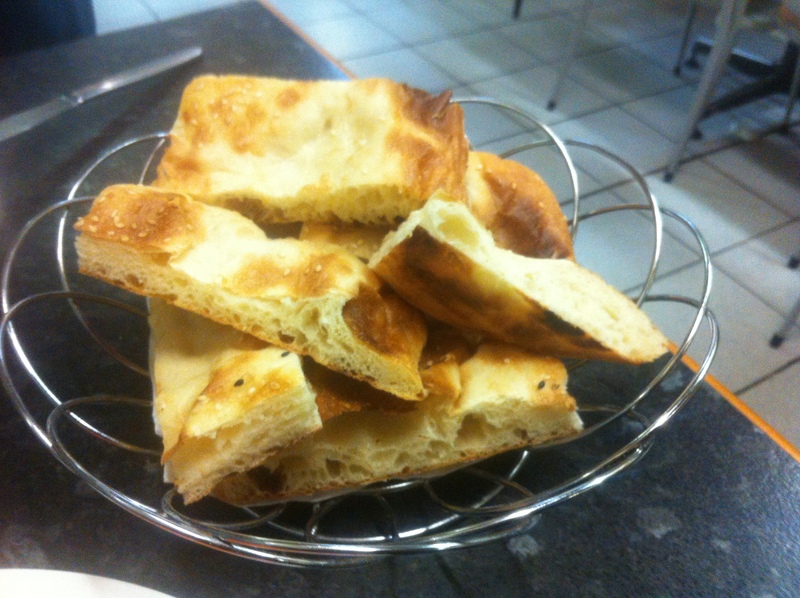 The turkish bread was cooked for a bit longer than usual but it was still beautiful nevertheless. The bread was fluffy, chewy with a brilliantly crispy crust. Salad was nicely dressed, giving a tangy and refreshing element on my palate. All of the components together with both dips (any of the dips they have!) go hand in hand. I’ve had this meal a couple of times and it’s been consistently good every time. A.T and I decided that it was time for us to try something new that wasn’t either Asian (and by Asian I mean Chinese, Japanese and Korean) or modern Australian… which lead us to Rumi. 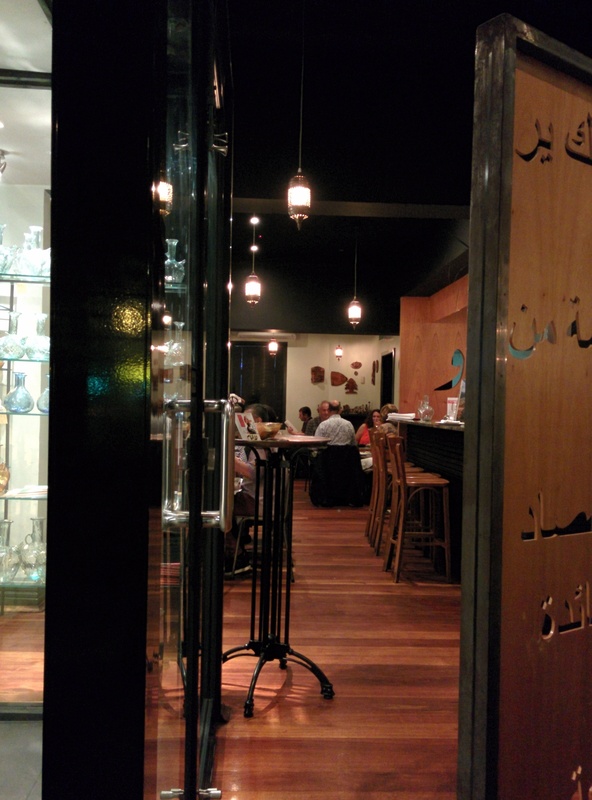 Rumi is a little bit classy with its dim lighting and neatly groomed waiters and waitresses. Yet the venue itself consisted of mainly group get-togethers exchanging meals and conversations, which created a really social and vibrant environment. The waitress & waiter who served us were both friendly, confident and so helpful with the menu. They also have a very handy way of pouring water, which I thought was a clever way to entertain the diners. 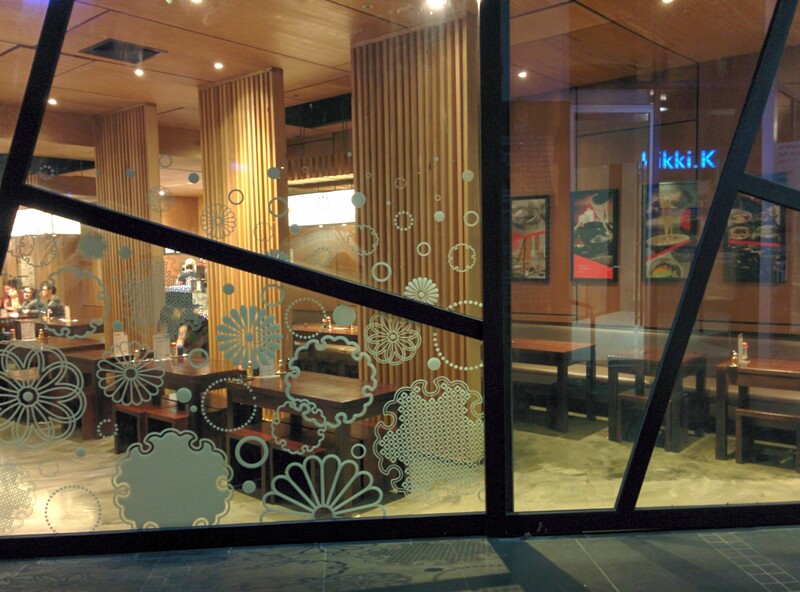 Rumi was full despite its spacious interior so it was blatantly evident how popular this restaurant is. I would recommend booking beforehand. Don’t worry, it won’t feel like too much of a chore thanks to their quick and efficient booking system, which you can access on their website! 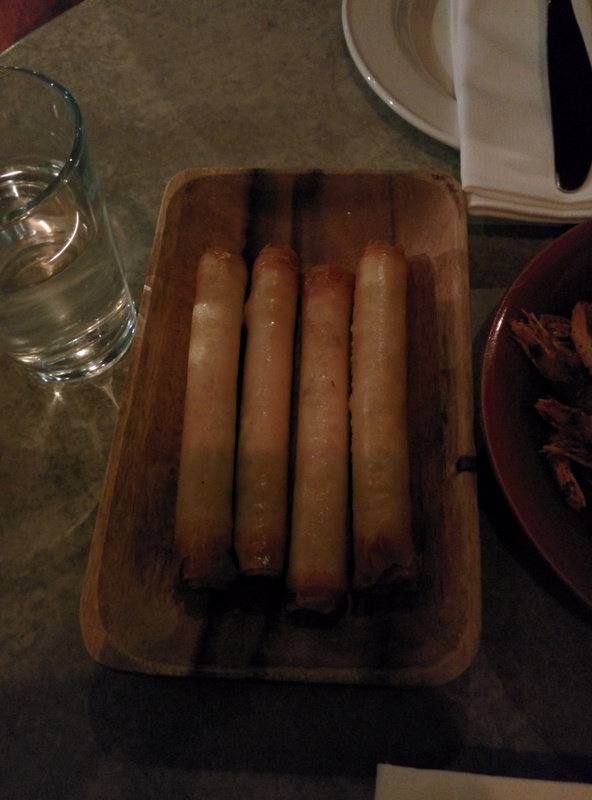 Sigara Boregi ($12.50 for 4 pieces) – cigar shaped pastry filled with haloumi, feta & kasseri. Great little cigars rolled with crispy pastry that just flakes and melts in your mouth, and filled with a well-balanced, perfectly salty combination of cheeses. It was a sensational start to our night! The second entree was even better than the first. The school prawns were crunchy and nicely spiced with the pungent taste of paprika just singing and dancing on my palate. 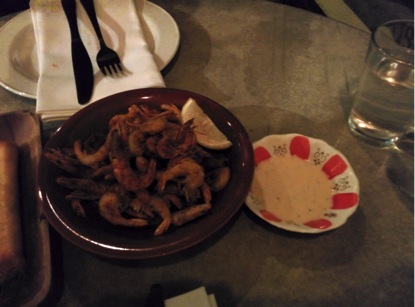 The tahini sauce complemented the prawns impeccably well, as it provided that extra kick which transported me to food heaven. Give me a bucket of these any day and I’d be one very happy shrimpy (…geddit?). 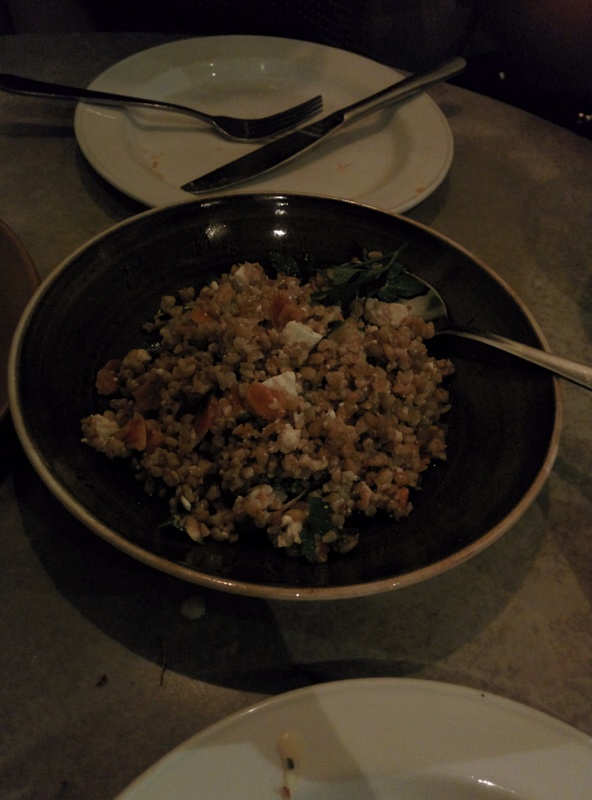 Freekeh Salad ($14) – almonds w/ ewe’s milk feta & pomegranate dressing. The freekeh salad made eating the quail somewhat manageable. This salad isn’t exactly the light and refreshing type, but delicious nevertheless. Very tasty flavours, and the almonds added a gorgeous crunch to the overall dish. 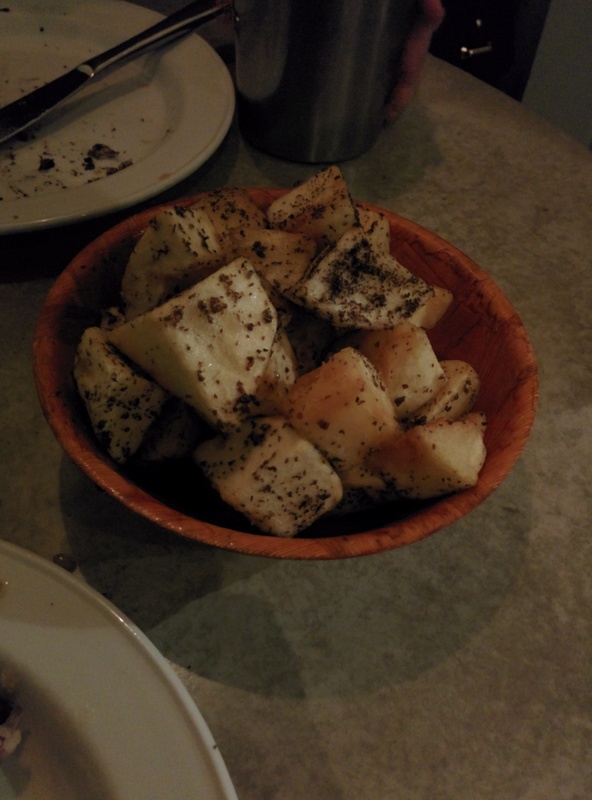 The fried potatoes had a crunchy exterior whilst the inside was delicately soft, making it really addictive. Having said that, the bigger pieces were undercooked, hard and not crispy at all. The seasoning was packed full of flavour however, inconsistency of the texture was what let the dish down. 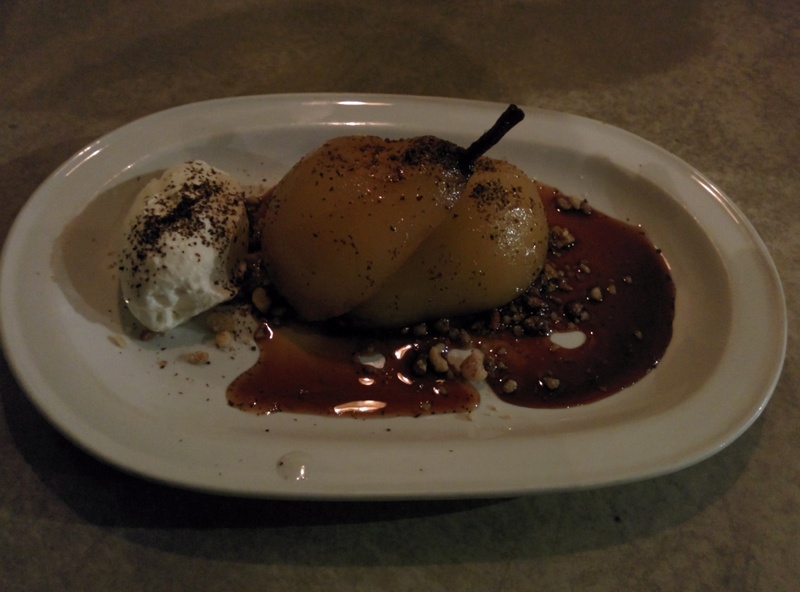 Poached pears ($12.50) – w/ walnuts, dried pomegranate seeds, pomegranate molasses, sweet labne & sumac. The pears were skilfully poached to the point where it was just so soft and easy to bite into. When eaten together with the walnuts, labne and pomegranate molasses, all the elements were there and tasted beautifully well together. The only minor criticism I have is that there was an excessive amount of pomegranate sauce poured onto the plate, which was a tad too sour and overpowering. 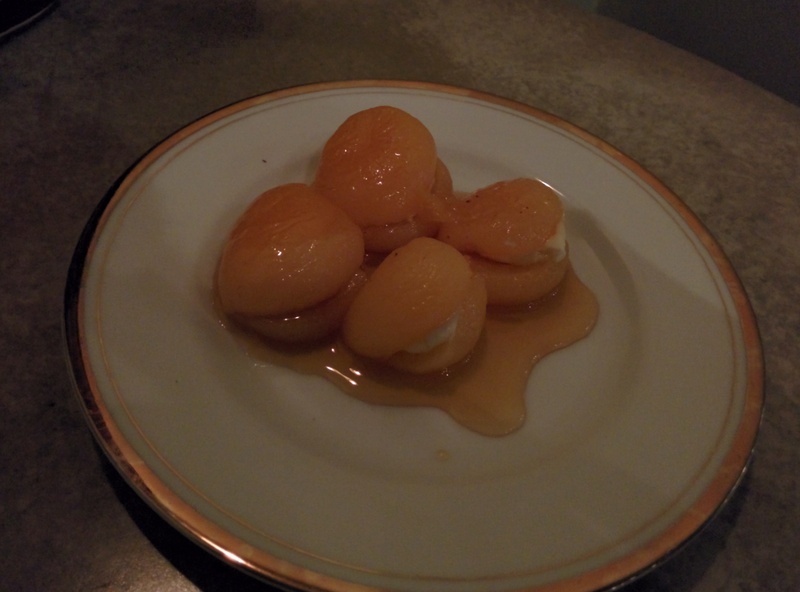 Arak poached apricots ($7.50 for 4 pieces) – filled w/ housemade labne using organic milk. The night was finished with complimentary gum (very appropriate) and warm smiles! 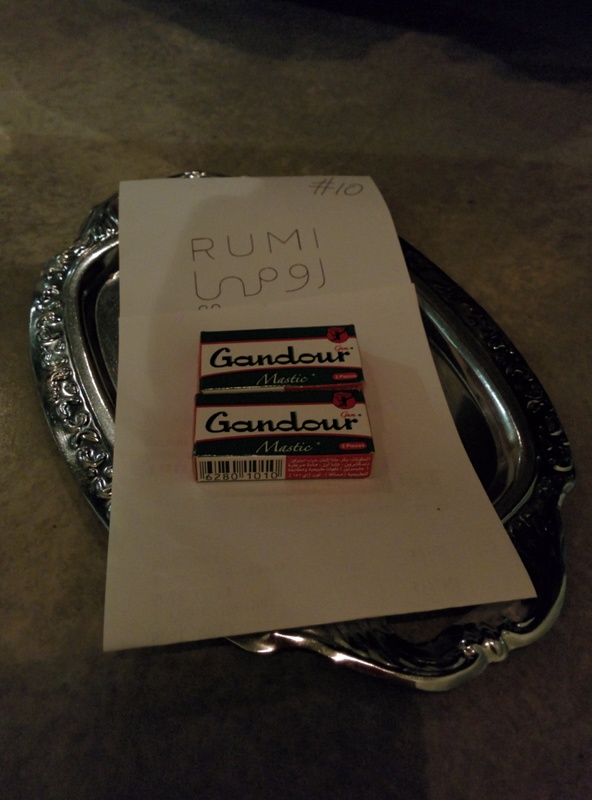 Overall, I had a pleasant first experience eating middle eastern food and Rumi was a great starting point for me to venture out and diversify my palate. Lowlights: dry quail with no sauce! 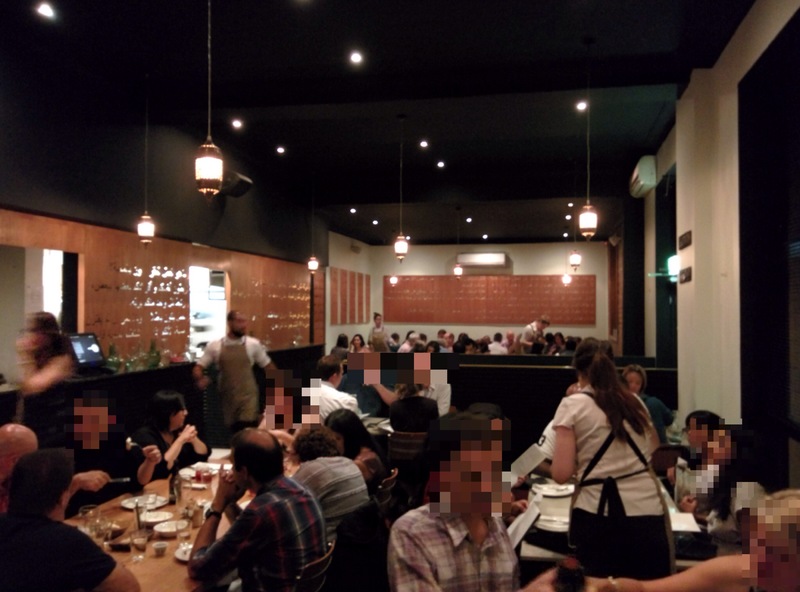 Service is almost non existent at this restaurant… when my mate D and I arrived, we were a bit lost because there was a worker at the bar who didn’t bother to greet or even look at us, so we just seated ourselves. Ordering is at the front counter and a staff member just comes out, places your plate on the table and leaves, that’s it. No communication. In addition, the parma I had was mediocre at best (I wouldn’t mind trying the “kickass burger”, which has received rave reviews). The only attractive aspect of Lounge/Gloria Swanston’s Kitchen that could possibly convince me to come back is the ridiculously chill environment of the restaurant. It definitely lives up to its name “Lounge” ahah. 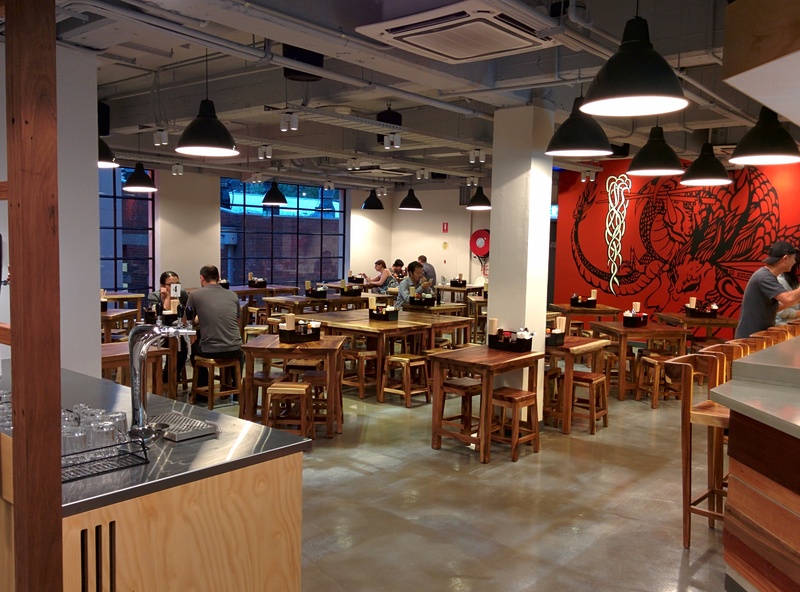 The venue is spacious, rustic and just a great place to socialise and have a beer with your mates. Other than that, it’s pretty average. 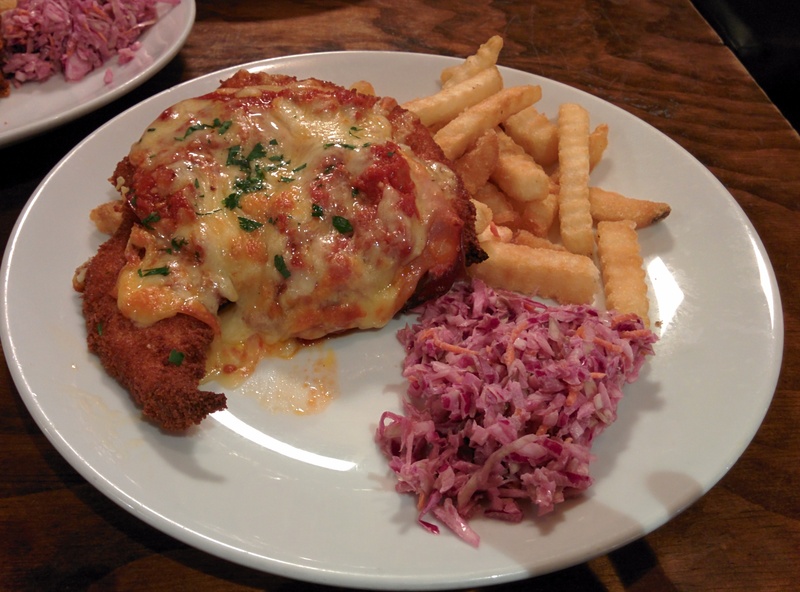 Chicken Parma ($10 on Mondays, original price is $20.50) – Parma with house-made slaw and crinkle cut fries. Every component was very lacklustre and just down right uninspiring. Nothing excited my taste-buds… the parma was dry and it was very difficult to cut into with my knife. I’m pretty sure the fries are just the typical McCain frozen crinkle cuts or something of the like, and the slaw tasted like cabbage mixed with mayonnaise. No love and care were seen that day (lol). Even though I only paid $10, I expected the parma to be at least a tad better than this. I wouldn’t pay $10 again for this dish, let alone $20.50. Very disappointing meal. Service – not sure how to judge… there wasn’t a service?